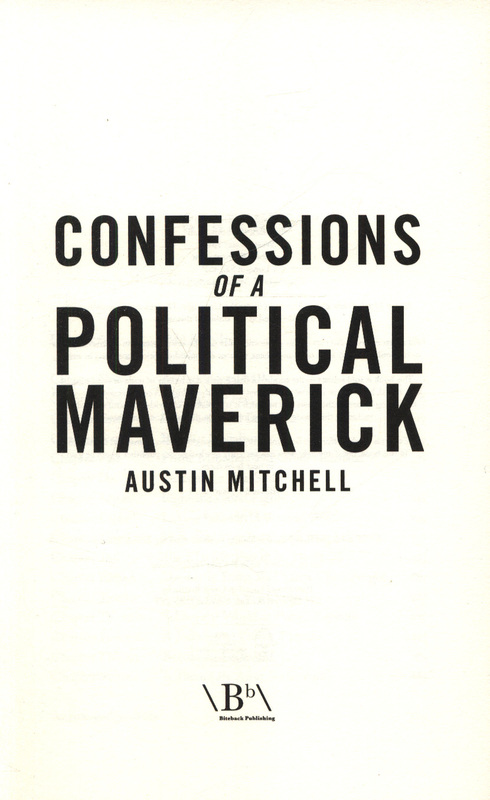 Austin Mitchell is a political maverick. 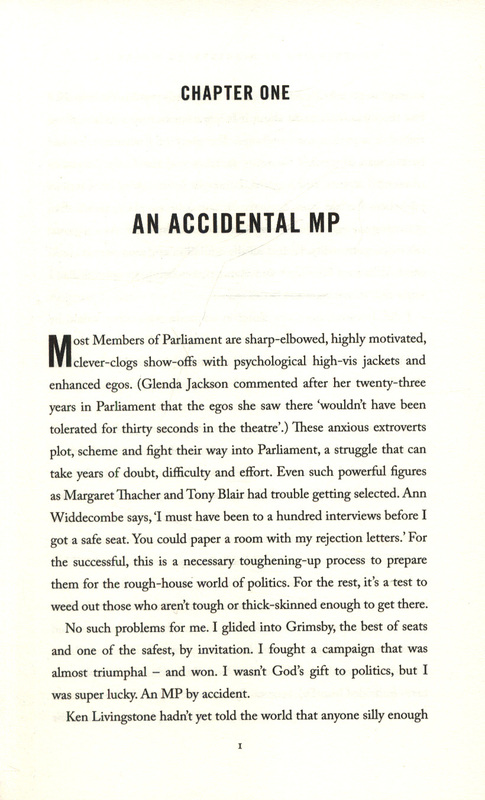 For thirty-eight years he was a fly in the parliamentary ointment, a recurring itch on the body politic. 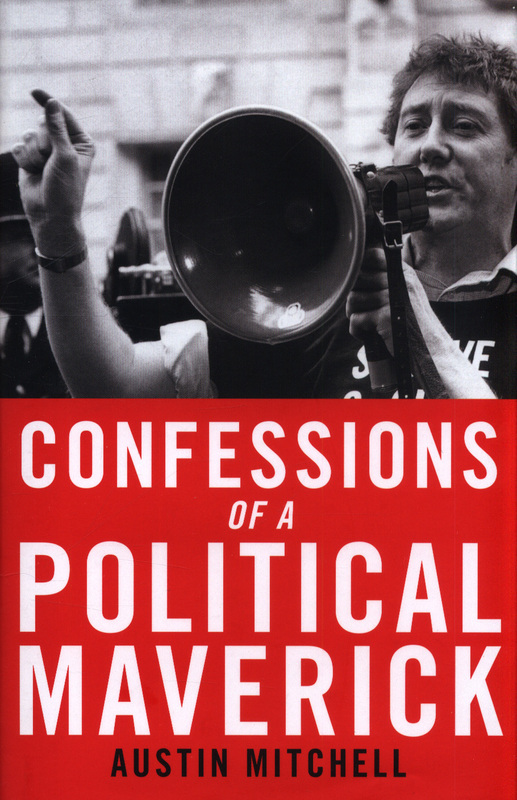 A maverick may annoy the whips, threaten party discipline and challenge the solemnities of Parliament. Troublemakers they may well be, but the Commons would certainly be a duller place without them. 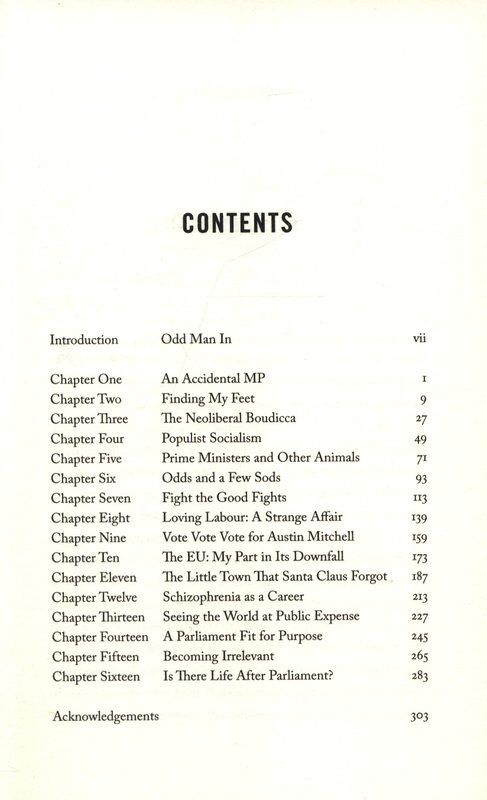 However Mitchell's dissidence wasn't all bitterness without volume control. Rattling the cage, swimming against the tide, pursuing honourable causes and, of course, fighting for his constituency, Grimsby, proved a rewarding career in itself. 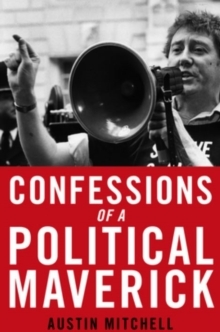 Confessions of a Political Maverick succeeds in uncovering the realities behind the pretentious parliamentary facade of tradition and the stuffy complacency of Britain's failing political class. Dissenting from the peculiar and highly particular conformity of career politicians dedicated to climbing the greasy pole can be a lonely role, but it can also be fun. 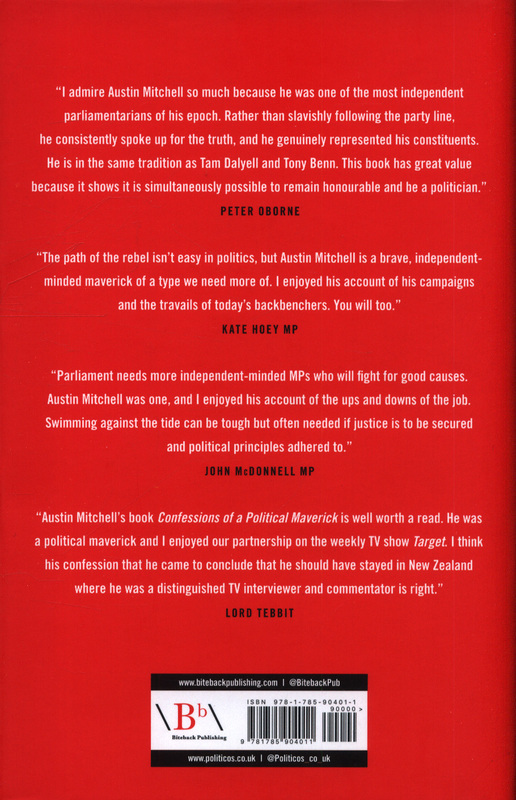 It certainly was for Austin Mitchell.